In 2012 I had been looking for a new pan/tilt solution to replace the buggy Merlin or Orion head I had been using. I spoke to the creator of the eMotimo TB3 Brian Burling about the TB3, and it sounded like what I was looking for. In December 2012 I received a TB3 Orange and I was impressed with it right away. I didn’t do any real shoots with it for a few months. Then I packed it with me when I went to Australia, a few months later, and it performed flawlessly after traveling more than 11,000 miles (one way) to Western Australia. The small size of the unit is great for travel and it will fit in a camera bag easily. My camera bags were full of cameras and lenses, so it had to go in another larger bag with tripods and Dynamic Perception dollies. So it rode in the belly of the planes throughout the flights. I liked the TB3 so much, when I got back from Australia I ordered a TB3 Black, which has a few more features than the TB3 Orange. In the Spring-Fall of 2013 I used both of them on dozens of shots. The setup is extremely simple and it can be set up in minutes. It takes me longer to frame the shot than it does to set up the TB3. 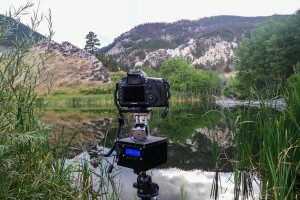 Setting up a 2 axis move with a TB3 on a tripod, will take 5 minutes or less. You plug the power in, set the start and stop points, set the interval, move duration, static time and ramp if needed. In the fall of 2013 I also upgraded my TB3 Orange, so it now it has the same features as the TB3 Black. You see my upgraded Orange TB3 in the video above. For 3 axis moves, I also use the TB3’s on my Dynamic Perception Stage Zero dollies. For that, you will need to get a geared stepper motor from eMotimo. Setup is the same, except now you also move the dolly from end to end when setting the start and stop points in the setup menu. It will take a few more minutes to setup with a dolly, only because it takes a few minutes to move the dolly from one end to the other, then back to start it. I haven’t had any major issues with the TB3’s, only a few minor ones, and the company was quick to get them fixed, or send replacement parts. The playback of the timelapse I have shot on the TB3, or a combination of Stage Zero Dolly and TB3, have all been smooth. It will add a new range of shots, to your setups. If you are looking for portable, smooth and easy to set up motion control for timelapse, I highly recommend the eMotimo TB3’s! Below – Photos of the TB3’s – You may see gaff tape on the TB3’s, I cover the lcd’s and led’s for night shots, and I usually leave it on them so they are ready. 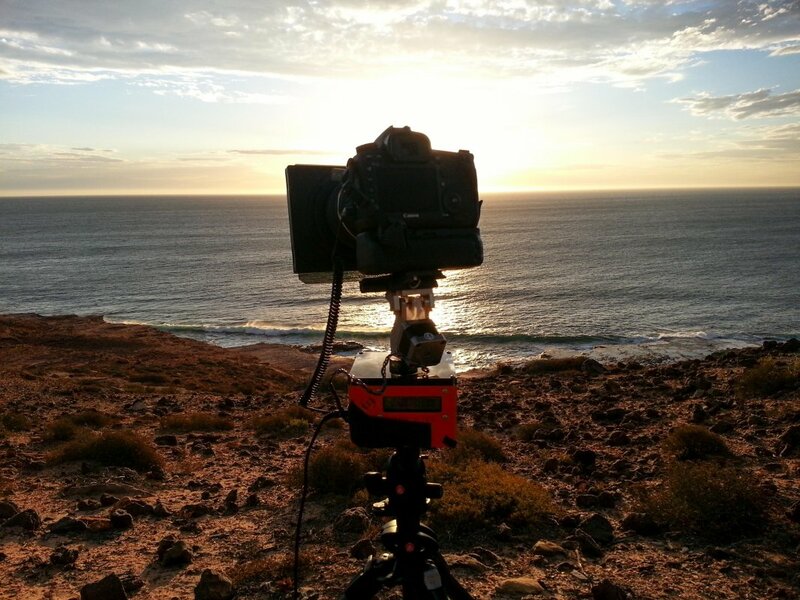 Shooting the Sunset over the Indian Ocean.